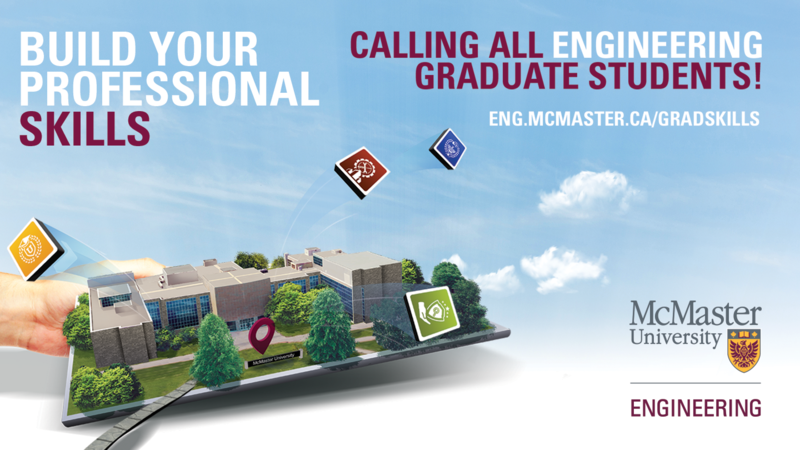 Engineering Co-op & Career services offers a wide range of resources and services to all McMaster Engineering students to support your career development and job hunt. Follow these 4 steps to land your dream job! Your cover letter and resume are the first thing employers see about you. Learn how to make a great first impression by having your documents critiqued by our staff. Click to view resume templates for students in each engineering program. Events, such as employer information sessions, are a great opportunity to meet your future employer face-to-face. Log onto OSCARplus now and under the events tab, look for an upcoming event! Before you land that great co-op job, you need to know where to find it. Learn where to look and how to be strategic with your applications with the help of our team. The interview is your time to shine and show employers how you can add value to their team. Our staff can coach you on what to expect and how to present yourself confidently in front of employers. Our team of 7 career development staff are ready to meet you and support you in your co-op and career needs. Book an appointment using OSCARplus, or visit our office. What is networking? When is it okay to negotiate salary? Our office provides a wide variety of professional development workshops to answer these questions and more! Log onto OSCARplus and under the events page, look for a career development workshop! Complete these online tutorials to learn skills necessary to launch your career! Learn steps on how to communicate effectively, plan your career in industry or academia, and crack the market. MyGradSkills.ca is a series of free professional skills development modules available to Ontario graduate students!